If you’re heading to Australia for an adventure then you’re probably well aware that the Gold Coast is a popular destination – attracting 13 million visitors in 2017 to enjoy a relaxed seaside getaway, but did you know it offers a whole lot more than golden sands? While you’ll definitely want to bring your swimsuit and spend time at the beach, consider putting some of these top things to do on your itinerary as well. Also, if you’re looking for the top rated hotels with the best prices, I’ve added my Trip Advisor affiliate link to the top 10 hotels in Gold Coast at no cost to you. Get ready for a sun and sand filled adventure if the Gold Coast is part of your travel plans to Australia. But while you’re there, you should try to set some time aside to check out these highlights as well. Connect with the rich indigenous culture of the Gold Coast in Burleigh Head National Park on a guided tour that provides insights into the society and spirituality of the Yugambeh, one of the world’s oldest living cultures. You’ll visit an ancient midden, meet a traditional landowner and hear the stories associated with the creation of Jellurgal Mountain as well as learn about life in the bush, fishing, hunting, traditional foods and ecological practices. The Gold Coast has one of the longest whale-watching seasons in Australia. Take a whale-watching boat tour for the opportunity to spot humpbacks and orca whales along with sea turtles, dolphins, sharks and flying fish. You’ll find everything from water parks to extreme roller coasters on the Gold Coast. It’s famous for its four theme parks, including Dream World, the largest with its heart-pounding rides like the Giant Drop and slides that plunge for more than 36 feet at a 70-degree angle. Visitors can also meet cartoon characters at Warner Bros. Movie World and splash down at Wet’n’Wild. A health retreat on the Gold Coast offers plenty of ways to get active and relax. Look forward to cycling, kayaking, swimming, strolls through the rainforest as well as pampering with a massage, facials, body wraps, special healing sessions and much more. This rainforest skywalk stretches for nearly a mile, showcasing the incredible beauty of the rainforest that will bring you over the Skywalk Bridge, the Skywalk Cantilever and the Cedar Creek Viewing Platform, linked by a meandering pathway along the canopy floor. 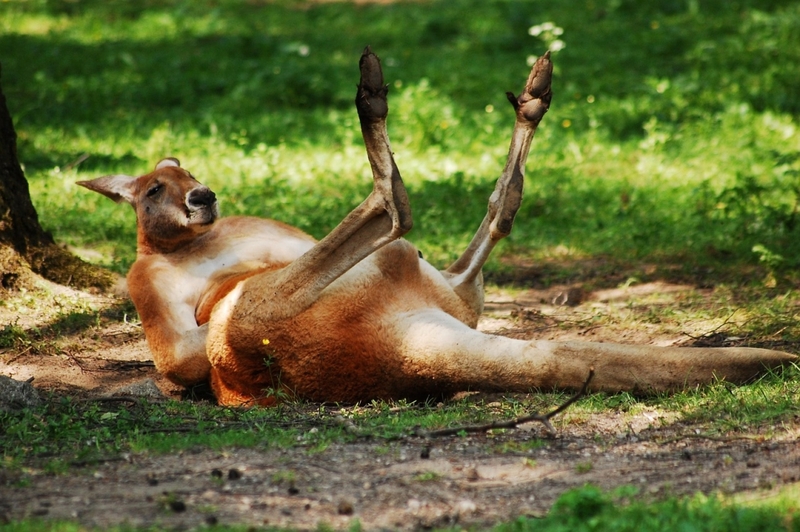 The Gold Coast Wildlife Sanctuary offers the chance to immerse yourself in the lush Currumbin rainforest, cuddling with koalas, feeding kangaroos and wandering through open animal enclosures along the way. You can experience wild lorikeet feedings, watch Aboriginal performances and free flight bird shows. Journey through Lost Valley, a forgotten world filled with some of the most unique wildlife on the planet, including exotic reptiles, red pandas, lemurs, capybaras and cotton-top tamarins. The just over 22-mile-long network of pathways connecting The Spit at the north to Point Danger in the south along the Gold Coast is known as the Gold Coast Oceanway. The series of sections that range up to 2.5-miles long are popular for walking and cycling while taking in gorgeous views of the beaches, dunes and sea. You’ll have plenty of things to do on the Gold Coast. Whether you’re whale watching, getting face to face with Kangaroos, or just taking in the sun, there’s much to experience in this part of the world. For more travel tips, or if you’re looking for great budget flights tips, be sure to subscribe so you never miss a post.